Randi Ona Early American Antiques Wayne, NJ 973-495-3707 onaantiques@optonline.net www.onaantiques.com Watercolor on paper, c. 1825. An unusually crafted portrait of a lovely young woman. Great detail to her hair, tortoise shell comb, and beaded necklace. Her bodice is accented by a colorful ruffle and necktie. 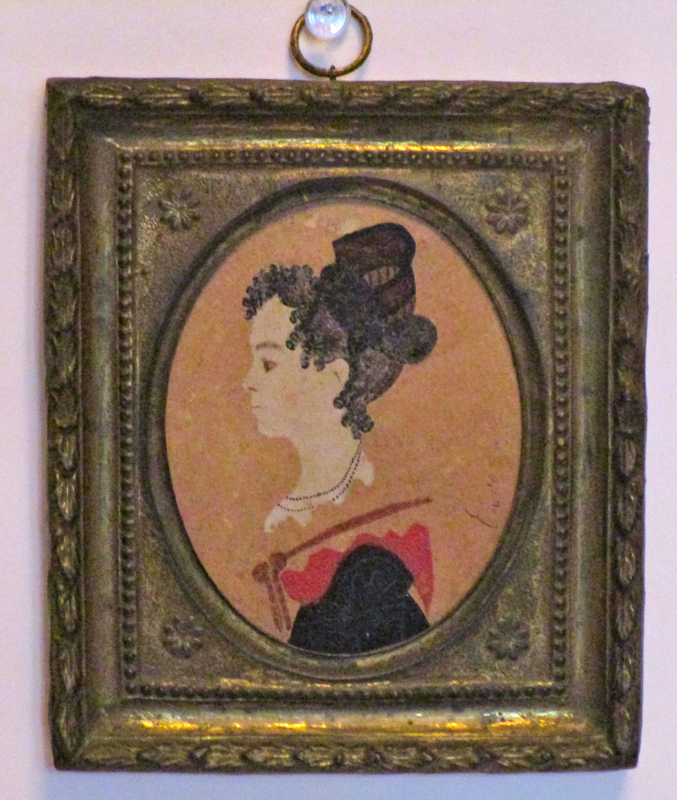 Dimensions: sight: 2 5/8” x 3.25”, frame 4.25” x 5”.